I just got this picture from my dad. 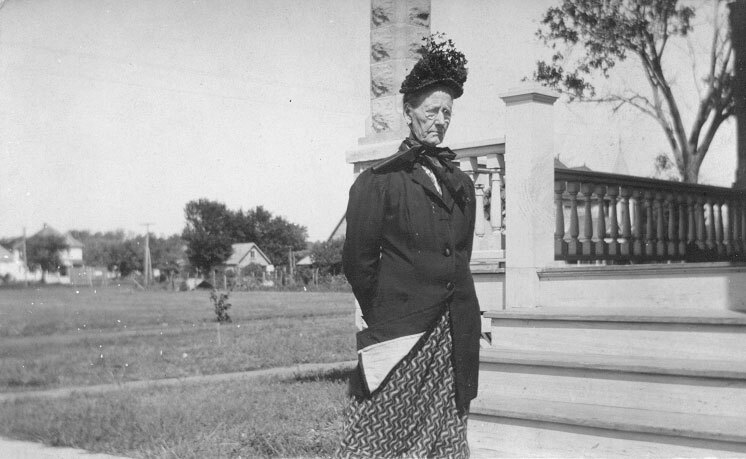 The inscription on the back of this picture postcard says "Grandmother Grant's Mother". I assume that means Hannah Westling Grant's mother, so she would be Ingrid Swan. She was born Nov. 2, 1835, and died April 21, 1916 in McPerson, Kansas. She had 8 children and Hannah Matilda Westling was number 6. Hannah Matilda was married to David Hiram Grant. David Hiram Grant and Hannah Westling Grant were the parents of Hiram Eric Grant, my grandfather. FYI - If you want to save this picture on your computer, right click on the picture with your mouse and "save ppicture as".